Located in the landlocked plateau of Central Asia between China and Russian Siberia, Mongolia covers an area of 1,566,500 sq. km. Mongolia stretches about 2,400 kilometers from west to east and about 1,260 kilometers from north to south. The total length of the country's borders is 8,158 km. The geography of the country is characterized by great diversity. From north to south it can be divided into four areas: mountain-forest steppe, mountain steppe and in the extreme south, semi-desert and desert (the latter being about 30% of the entire territory). The country is mountainous with an average altitude of 1,580 meters above sea level. The principal mountains are concentrated in the west, with much of this region having elevations above 2,000 meters and the country's highest peaks permanently snow-capped land covered with glaciers. The lowest point is Hukh lake, 560 meters above sea level, and the highest point is Huiten peak in the Mongolian Altai mountain range (4,374 m). The capital of Ulaanbaatar lies at 1,350 meters. 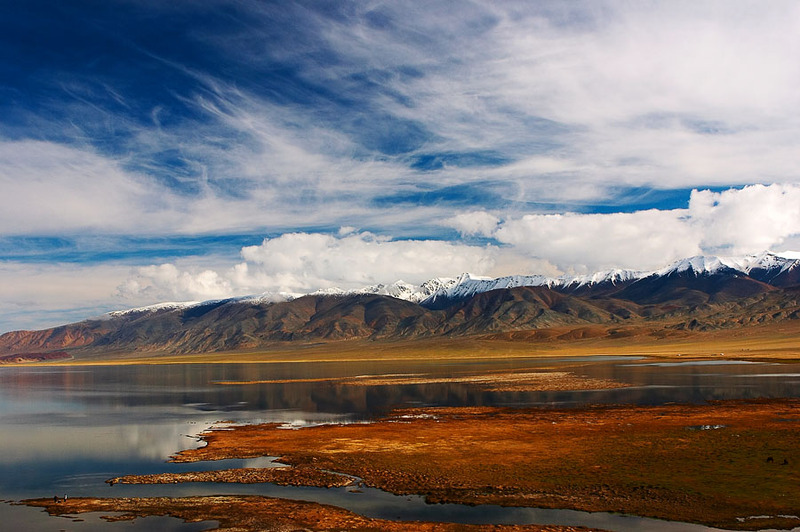 The country Is dotted with hundreds of lakes, the largest being Uvs-Nuur (covering an area of 3,350 sq. km. ), Huvsgul (2,620 sq. km.) and Khar Us-Nuur (1,852 sq. km). 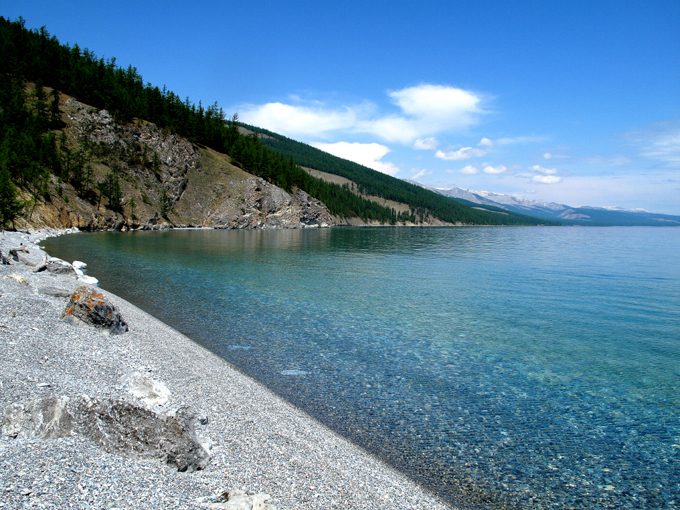 The Orkhon (1,124 kilometers), the Kherlen (1090 kilometers) and the Selenge (539 kilometers) are the largest rivers. Mountains and dense forests pre-dominate central and northern Mongolia and grasslands cover large areas of this region. Across the eastern part of the country stretches the vast grasslands of the Asian steppe. The steppe gradually fades into the Gobi desert, which extends throughout southern Mongolia from the east to west. The Gobi is mostly rocky dirt and silt dotted with gravel, but also contains sand dunes in the drier areas near the southern border. Mongolia is high, cold, and dry. It has an extreme continental climate with long, cold winters and short summers, during which most precipitation falls. The country averages 257 cloudless days a year, and it is usually at the center of a region of high atmospheric pressure. Precipitation is highest in the north, which averages 20 to 35 centimeters per year, and lowest in the south, which receives 10 to 20 centimeters. The extreme south is the Gobi, some regions of which receive no precipitation at all in most years. The name Gobi is a Mongol word meaning desert, depression, salt marsh, or steppe, but which usually refers to a category of arid rangeland with insufficient vegetation to support marmots but with enough to support camels. Mongols distinguish gobi from desert proper, although the distinction is not always apparent to outsiders unfamiliar with the Mongolian landscape. Gobi rangelands are fragile and are easily destroyed by overgrazing, which results in expansion of the true desert, a stony waste where not even Bactrian camels can survive. Mongolia's weather is characterized by extreme variability and short-term unpredictability in the summer, and the multiyear averages conceal wide variations in precipitation, dates of frosts, and occurrences of blizzards and spring dust storms. Such weather poses severe challenges to human and livestock survival. Official statistics list less than 1 percent of the country as arable, 8 to 10 percent as forest, and the rest as pasture or desert. Grain, mostly wheat, is grown in the valleys of the Selenge river system in the north, but yields fluctuate widely and unpredictably as a result of the amount and the timing of rain and the dates of killing frosts. Although winters are generally cold and clear, there are occasional blizzards that do not deposit much snow but cover the grasses with enough snow and ice to make grazing impossible, killing off tens of thousands of livestock. Such losses of livestock, which are an inevitable and, in a sense, normal consequence of the climate, can be devastating to herders in entire provinces, and most particularly to inexperienced herders. Like every other nomadic culture, Mongolian culture is well-known for its hospitality. Upon guests’ arrival, traditional offerings and treats are served - dairy products in the summer time, and meat in the winter. Traditionally a Mongolian, even during his absence, will leave his ger unlocked, in order to allow any passer-by to rest and enjoy the treats which are left on the table for visitors. Mongolians traditionally lead a pastoral, nomadic lifestyle. Because of the climate and short growing season, animal husbandry defines the nomadic lifestyle, with agriculture playing a secondary role. Nomads raise five types of animals - goats, sheep, cattle (including yaks), camels and horses - that provide meat, dairy products, transportation, and wool. Of these animals, the horse holds the highest position in Mongolian tales and legends. As one of the only remaining horse-based cultures left in the world, Mongolians greatly cherish their horses. Outside the capital, the horse is still the main mode of transportation and children begin riding as soon as they can sit up. Nomads are extremely proud of their riding skills and horse racing is a favorite pastime. Believing the race to be a test of the animal's and not the rider's ability, young children are often the jockeys. The most prestigious tests of these superb animals are the horse races at the Naadam Festival, Mongolia 's national games, which takes place each July. Families will travel for days to be able to participate or just attend this grand event. Nomadic families follow a seasonal routine, moving the herds to new grazing land based on the time of year, rather than one of aimless wandering. Historically, each clan had various chosen grazing grounds that were used exclusively by the same clan year after year. This tradition carries on today and families return to the same locations at the same time each year, for example, traveling at the end of each winter from a specific sheltered valley to a particular grazing area on the steppes. Daily responsibilities are divided evenly among family members and no one person's work is considered more important than another's. 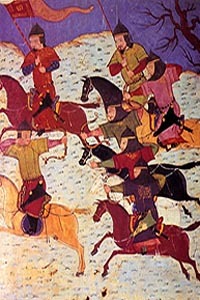 Traditionally, men take care of the horses arid, the herds and make saddles, harnesses, and weapons. In addition, they hunt to supplement the traditional diet of dairy products. Women also milk cows, goats and mares (the national drink is airag - fermented mare's milk). Despite their enterprise, however, Mongolians are not self-sufficient. Since ancient times, they have traded with surrounding civilizations far grain, rice, tea, silk, cotton and etc. Women's responsibilities include cooking, taking care of the children and making clothing (the traditional Mongolian costume is the ankle-length silk del). With a history of over a thousand years, this portable dwelling made of wood lashed together with leather thongs and covered with felt is the home of the Mongolian nomads. Easy to erect and dismantle, the ger, its furnishings, and the stove inside can be carried by just three camels, or wagons pulled by yaks. The average ger is small but spacious enough to provide adequate living space for a family, is wind resistant, and has good ventilation. Gers are constructed of a latticed wood structure covered with layers of felt and canvas. A lattice frame of narrow birch and willow laths is held together by leather strips. The sections are about 2 meters long and are bound together to form a large circular structure. This collapsible lattice is called khana. The average ger uses four to eight khana, with six being the most popular size. The door-frame is a separate unit, as is the ceiling formed from an umbrella-like frame-work of slender poles called uni, which are lashed to the khana on one end and slotted into the tonoo, a circular frame, at the top. Traditionally, the door was a felt flap attached to the door-frame, but most nomads now use a carved or painted wooden door. In the center of the tonoo is a small hole which allows smoke to escape and fresh air and light to enter. Each ger is heated by a small metal stove fueled with dried dung or wood. The entrance of the ger always faces south. Once the wooden framework is lashed together, it is covered with layers of felt and canvas. The felt helps the ger retain heat and the canvas over it sheds rain. Ropes made of hair and wool hold the thick layer of felt in place. During the summer, one layer of felt is used, but during the winter, two or three layers are necessary. Travelers to Mongolia will have the opportunity to sleep in traditional gers while staying with nomadic families or at ger camps. 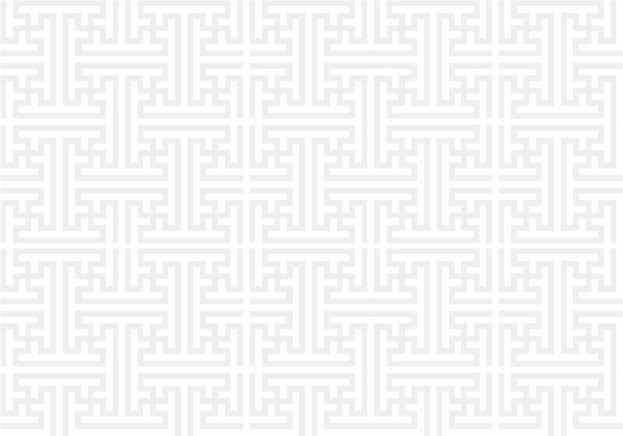 The Mongolian ger has customs attached to it that are unique; please refer to the guide following this section to learn more about the Do’s and Don’ts inside a ger. Khoomi Singing The physics of Khoomi singing are still not completely understood, but it’s basic principles are known. Most natural sounds are composed of a base pitch (fundamental) plus many more tones at higher pitches (harmonics). Usually our ears zero in on the fundamental and that is the pitch that our mind assigns to the sound. The fewer the harmonics the “purer” the sound (e.g., a flute does not produce many harmonic tones), whereas the presence of more harmonics makes the sound “richer”. The human voice is rich with harmonics. By dividing the mouth into two cavities and modulating the resonant pitches of each, the Khoomi singer is able to suppress the fundamental or base pitch and amplify one or two harmonics so that our ears register them as separate tones rather than as one complex tone. It is almost as difficult to describe in writing what khoomi sounds like as it would be to learn khoomi singing from a set of instructions! The end result is that you are hearing one person sing in what seems to be two or three different tones or notes at the same time. It is eerie, and beautiful. As the singer’s rich bass voice sings the words, there will be a whistling overtone and sometimes a humming mid tone. Morin Huur Used in Khoomi singing and in other forms of traditional music, the origins of the Morin Huur lie with the Chinese two-stringed fiddle. With its typical horse-head carving crowning the instrument, the Morin Huur plays a major part in all classic Mongolian forms of music. To this day people of all ages play it. Long Song The Mongolian long song is a truly nomadic art form. It can be sung without any accompanying instruments and is very melodic, and the voices of good long song singers can carry over immense distances. Common themes include nature, family, animals, and epic tales. Probably the most well-known Mongolian Festival. Originating from the beginning of the previous century, the festival consists of the “three manly sports”- wrestling, horse riding and archery, accompanies by festivities, eating and drinking, and much socializing. The event is celebrated all over Mongolia, with the main events taking place in the capital. Tsagaan Sar the “white moon” celebrations are celebrated at the Lunar New Year. It is a tradition to climb a sacred mountain on the first day of the New Year, to welcome the first morning of the New Year on the mountain peak. On the three following days, Mongolians visit their relatives and friends, and enjoy traditional food and drink. Like any other ex-communist country, Mongolia adopted many communist style holidays, such as military day, revolution day, women’s day, labour day and so on. Today some of them remain non-working days, but have lost their original meaning. Shamanism Anthropologists have identified shamanistic practices in tribal cultures, ancient and modern, throughout the world. Shamanism is a "technique of ecstasy" (Mircea Eliade) in which the spirit of the shaman leaves the body and travels to communicate with spirit helpers and other beings for the purpose of obtaining knowledge, power, or healing. However, the shaman usually retains control over his or her body. In many cultures, a shaman is chosen or called, sometimes by healing him- or herself of a serious illness. Shamanic healing is a process whereby a person journeys on behalf of another, and brings back information or instructions that can be used to provide psychological, physical, emotional, or spiritual healing to another person. The word 'Shaman' is actually a Tungus (Siberian) word for this spiritual practice that is as old as mankind, and is still practiced by indigenous people. Shamanism is not rooted in any organized religious tradition, but is instead a system of controlled visionary journeys into alternate realities (and back) in order to contact spirit guides and gain their assistance in divination and healing. Shamanism goes back in Mongolian history long before Chinggis Khan’s time, but it was Chinggis Khan that made it into such a fundamental part of the Mongolian tradition. The Mongolians were worshiping “Hoh Tenger” (blue skies) in this time. According to this belief the skies are the father, and the earth is the mother of all beings in the universe. As a civilization totally dependent on the forces of nature, the Mongolians worshipped the various elements of nature, praying to their ancestors who have transformed into mythical spiritual animals to provide them with good weather, health and success. Though oppressed during communist time, Shamanism is still widely practiced in Mongolia, and people who seek help will approach a Shaman for a blessing or cure and even to get hints about their future. Mongolians have been Buddhists since the 16th century, when the Mongolian king, Altan Khan, was converted by Tibetan lamas. Mongolians follow Tibetan Buddhist teachings, (also called Lamaism), the body of religious Buddhist doctrine and institutions characteristic of Tibet and the Himalayan region. It is a school within Tantric Buddhism (also called Vajrayana Buddhism), which in turn is part of the great Mahayana school. 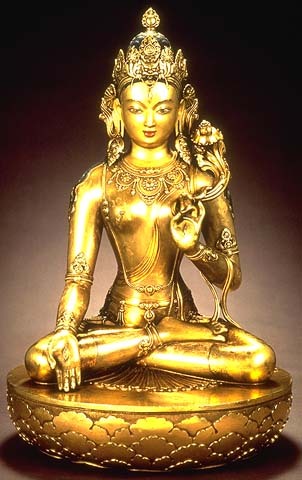 In the pre-revolutionary period, Mongolia was ruled by a series of Living Buddhas, or Jebtzun Damba. The eighth, and last, Jebtzun Damba was removed after the communist takeover. Traditionally, monasteries were centers both of learning and of power. It's estimated Mongolia had 100,000 monks, or lamas, in 1921 -- one third of the male population. In the 1930s, this power became the focus of a ruthless series of purges that reached a climax in 1937. Most of the country's monasteries were destroyed, and as many as 17,000 monks were killed. Today, Mongolia is once again embracing its Buddhist heritage. Monasteries are being restored, and are once again crowded with worshippers. The Dalai Lama is an enormously popular figure and has visited the country several times. For many Mongolians, the practice of Buddhism is flavored with traces of Shamanism, an even more ancient spirituality. Other Religions Mongolia also has a small Muslim community -- about 6 per cent of the population. These are mostly ethnic Kazakhs living in the far west of the country. The opening-up of the country has led to an influx of Christian missionaries, and this remains a source of some tension and debate among Mongolians. In the thirteenth century, a writer described Mongolian people as "Antichrist." He is wrong, Mongolians are the friendliest people in Asia. With a population of around three million, Mongolia is the most sparsely populated country in the world. But less than half of Mongolian people actually live in their homeland. China and Russia host large Mongol populations. 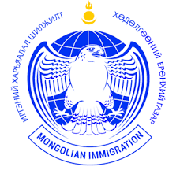 And in the last twenty years thousands of Mongolians have emigrated around the globe . . . But Mongolia, also known as Outer Mongolia, remains the Mongol homeland. Despite Outer Mongolia’s vast size, thirty-eight percent of the population has squashed itself into the capital–Ulaanbaatar. Here you will find the full urban deal—traffic jams, pollution and stressed-out pedestrians. When you walk the streets of Ulaanbaatar, you will see the nomads and urbanites rubbing shoulders together. The nomads wearing traditional dels and the urbanites dressed in cashmere sweaters and chic fashions. The urban Mongol lives a life which you would find familiar. Many work 9-5 in shops, banks and offices. Others work in restaurants, hospitals and schools. Some work as teachers, some paint, some sing, others are movie stars . . .
Only about half the population lives in cities. The rest of the Mongolian people still prefer to roam free on the vast steppes or in the Gobi desert. Around one-and-a-half million nomads live on the steppes. There they herd sheep, goats, yaks, horses and two-humped camels. Everything they own comes from their herds. They even make their own alcohol—fermented mare’s milk! The typical nomad lives in a felt tent. These gers come in all sizes but one shape—circular. The ger stands as a monument to their genius and self-sufficient way of life—held together without a single nail. Nomads live and breathe hospitality. A quarter of a million still live the life of ‘real men’ galloping across the steppes. But many have laid down this life and migrated to the cities. Once in the city, some have gone on to lead their country while others have struggled with poverty and alcohol. One of the biggest problems for the urbanized nomads is a lack of pasture in the city. This led to a law which prohibits nomads bringing their herds here. With no herds or urban skills, many have floundered. Those who remained on the steppe have fared better. They maintain traditions which date back hundreds of years. Traditions which define their job and even their place in a ger . 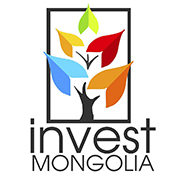 . .
Avoid embarrassing mistakes by doing your research before visiting Mongolia. Mongolian women have always had a prominent position in Mongol society. At times they ruled the Mongol Empire—the largest empire the world has known. That legacy has continued today with women active in every area of Mongolian society. Mongolian women have also inherited a genetic legacy from their forebears. Chingis Khan had a keen eye for beauty as he conquered his empire. You can see this genetic heritage on the streets and steppes of Mongolia today. Like the men nomadic, women have a well-defined role in the Mongolian nomad’s way of life. Mongolia has a young population. Of the three million Mongolian people in this vast land—one million are below the age of fourteen! They live a life, Western children can only dream of! Free from the scourge of health and safety concerns they climb, run, leap, wrestle . . . living life to the full. You may meet a few Mongolian children with names such as ‘Vicious Dog’; ‘Not a Human Being’ and ‘I don’t know’? This might seem cruel . . . But their parents have their best interests at heart. These names are intended to fool evil spirits and protect children with health problems. Mongolian people are very superstitious. 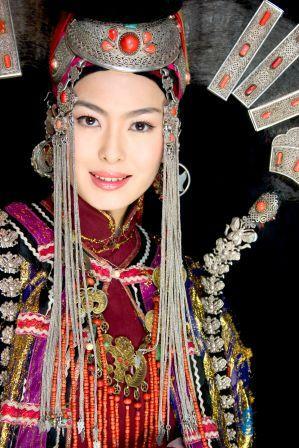 Mongolian people share many physical characteristics: high cheekbones, honey-colored skin, the Mongolian spot . . . But Mongols do not come from a single ethnic group. The Mongolian people come from several dozen tribes which over centuries have become interlinked through marriage and politics. The Khalkh form the largest group—around eighty percent of the Mongolian population today. The remaining twenty percent divide into around sixteen distinct ethnic groups. In the Western parts of Mongolia you will find the Bayad, Torguud, Uuld, Zakhchin, Myangad and the Uriankhai. In the South and East you will find the Darkhad, Buriyat, Barga, Uzemchin and Dariganga. The Kazakhs are the largest minority, found in the far West of Mongolia in Bayan-Ulgii. Smaller groups include the Tuva, Uriankhai, Khoton and Tsaatan peoples. 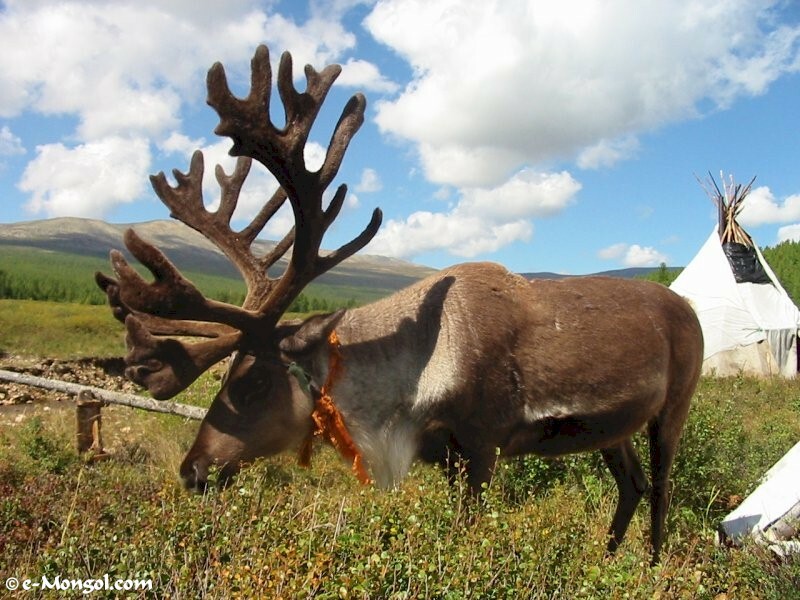 One of the smaller groups mentioned above is the reindeer people—called Tsaatan in Mongolia. Numbering in the low hundreds they live in tepees which look remarkably like those of the American Indians. If you come to Mongolia in the winter, then this ethnic group should come high on your list of must-meets. Mongolian belongs to the Altaic family of languages. It originated from the ancient Mongolians dialect and now Mongolian includes the languages of central Mongolia, Buryat, Kalmyk, Afganistan Mogol, Daguur, Dunsyan (Santo), Mongor and Bayaoni. The development of Mongolian literary language is divided into three stages. The early stage of its history lasted from unknown times until about the fifth century A. D. The second stage started in the fifth century. The third stage began in the 1940s, when the grammar structures of the literary Mongolian developed. This stage is continuing until now. It is believed that writing was invented about 5000 years ago. 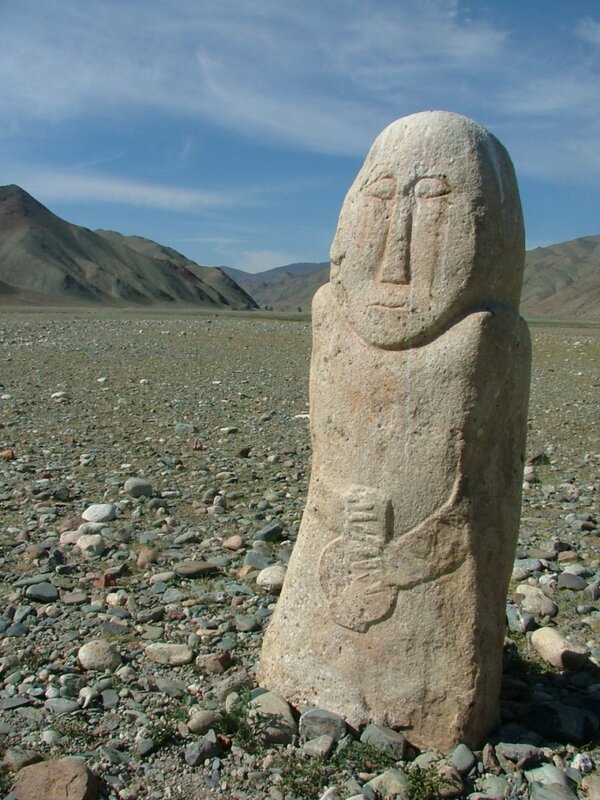 Writings on Mongolia's archaeological finds and ancient monuments can be traced back 2000 years. Speakers of Mongolian had been using many scripts throughout their history. Tabgach people had their own script in 425 A. D. that did not use vowels but letters that wrote syllables. Later, Kitans had two kinds of script "Big" and "Small" and the latter was used to write vowels. It was invented in 925 A. D. by Tela who got the idea from Uighur script. The Mongolian script or Uighur script has played an important role in the history of Mongolian culture. The time when it was invented is still unknown. Some linguists assume that it was in use earlier as it reflects Mongolian phonetics. The alphabet of the Mongolian alphabet consists of 14 basics that represent 5 vowels and 22 consonants. One peculiarity of the Old Mongolian script is that each letter has different forms at initial, medial and final positions of a word. The main grammar rule is the final letter rule by which 11 consonants (N, B, G, T, L, R, S, D, I, V, NG) end a closed syllable. The Old Mongolian script is very suitable for dialects that are different from each other. "Durvuljin usug" alphabet was invented by Pagva Lama in 1269 although it was no longer used at the decline of Mongol Empire and was only used for decoration and other purposes. "Tod usug" - the Oirat alphabet, which was invented by Zaya Pandita in 1618 and “Soyombo” alphabet by Zanabazar in 1686, could not be used commonly. After the revolution Mongolians started to use the 35 letters of the Mongolian Cyrillic script which are same as Russian alphabet plus two additional ones (о and у ) to represent o and u. Besides corresponding a spelling with a pronunciation and reducing the different spellings of one word, it helped a lot to make up a modem grammar of literal Mongolian. Recently there were many comments and initiatives to have the national script of Mongolia as an official script and use the Latin alphabet throughout the country. Eight generations after Batachikan, Yesugei was born, and Yesugei had a son named Temujin. The history of the Mongolian nation starts with Temujin, later known as Chinggis Khan, the founder of the world’s largest continental empire. Before Chinggis Khan came to power, in the land known to us as Mongolia, sporadic clans conducted on-going wars and raids over grazing areas and water sources. Chinggis Khan united these clans under one flag, and turned them into one nation, although throughout the last 800 years, many of these clans have kept their ancient ethnic identity and unique traditions. 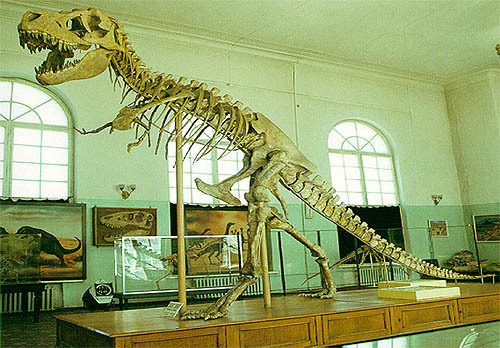 Archeological evidence shows that the area now known as Mongolia has been inhabited for over 500,000 years. Though Mongolia is known today as the land of nomads, the evidence clearly indicates that many societies were once farmers. As far as we know, the name “Mongol” was first mentioned in Chinese writings from the 9th century. The Chinese described the Mong-ko (Mongol) as “the people who follow the tails of their horses according to the growth pace of the grass and its withering”. Only in the 12th century, under the rule of Chinggis Khan, were Mongolia’s clans gathered under one flag, becoming a unified nation. 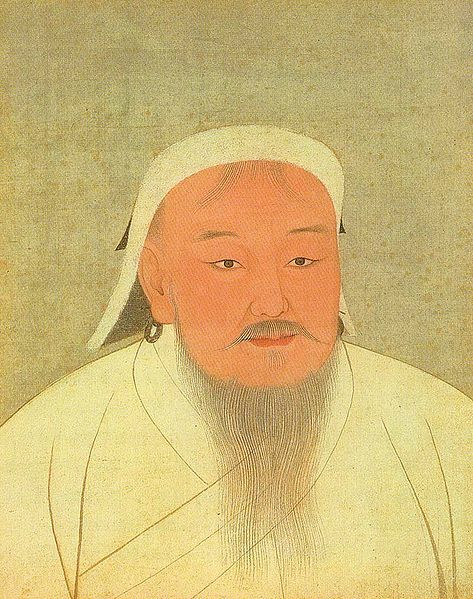 Leading his fearless warriors, and implementing military strategies still studied today by armed forces all over the world, Chinggis Khan, and later his successors, formed the world’s largest continental empire. Covering the vast land mass between Korea and Hungary, the infamous Mongolian horde ruled over an empire that encompassed many countries, nations, religions and languages. Though famous for its ruthlessness towards enemies, the Mongolian Empire was known to be very tolerant towards the different beliefs of its occupied societies. It is said that at the court of the Mongol Khans, Buddhist, Muslim, Christian, Jewish, Confucian, and other religious leaders used to sit and exchange ideas with one another and the local Shamans and healers. After the decline of the empire, in the 14th century, Mongolia was ruled by the Manchu dynasty of Qing. Ironically, the Manchu never had to conquer Mongolia, as the Mongols themselves invited the Manchu to protect them from attacks initiated by western clans. The violent and repressive regime of the Manchu lasted until 1911, when Mongolia proclaimed its independence, taking advantage of the weakening power of the Qing Emperor. Upon the declaration of independence, a Mongolian government was established, under the leadership of the Bogd Khan (The God King), and by 1915 the Kyahta Treaty was signed between Russia, China and Mongolia granting Mongolia limited autonomy. By 1919 Mongolia was again under the rule of a Chinese warlord. At that time the communist revolution was taking Russia by storm. At the invitation of the Mongolian government in 1921, White Russian soldiers, running from the Communist Reds, defeated the Chinese conquerors, and took control of Mongolia while retaining the Bogd Khan as a puppet ruler. The Mongolians found the White Russians under the leadership of Baron Ungern von Sternburg (The Mad Baron) as brutal as the Chinese, and groups of Mongolian nationalists approached the advancing Bolshevik forces to help them expel the White Russians. On November 26, 1924, Mongolia became the second communist country. 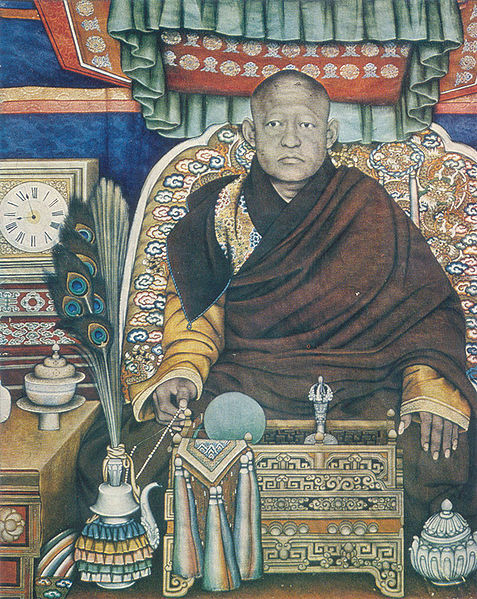 This period of history is a complex one, with the Mad Baron alternately viewed as a crazed, power hungry individual or as a Mongolian nationalist, while the Bogd Khan was seen as either a spiritual leader or a drunken eccentric isolated in his palace. For the next 70 years Mongolia was a satellite country to the Soviet Union. The Mongolian government was a puppet government controlled by the communist party, executing orders issued by the Kremlin. Between 1930 and 1940 at least one third of the male population of Mongolia was slaughtered by order of the communist party in far-away Moscow. Religious figures, intellectuals, and anyone who might be a threat to the communist party was killed or exiled to Siberia. Lams from entire monasteries were shot and piled into mass graves, monasteries destroyed, and much of Mongolia’s cultural heritage was looted or obliterated. Images of Chinggis Khan were prohibited. The horse tail banner of his reign, which protected and embodied the spirit of the Mongolian people and which had been protected and preserved for generations, was taken away, never to be found again. On the other hand, the Soviet occupation also brought to Mongolia, with its massive resources, infrastructure for transportation, communication and civil services such as education and health in Mongolia. During communist times Mongolia attained a 97% literacy rate, one of the highest around the world, and saw drastically reduced rates of infant and child mortality. Adult health improved greatly with the introduction of education in sanitary measures, and the advent of running water and sewage systems. Many Mongolians were sent to Soviet Union, where they were educated in science, engineering, and health. The vast herds of the Mongols were collectivizated, and the nomads were given new administrative jobs in settlements designed to create a more fixed, and therefore controllable, civilized population. As the Soviet block experienced the crash of the communist ideology, Mongolia underwent a peaceful revolution and became a Democratic Republic. Mongolia held its first ever democratic elections since the time of the Great Khans on July 29th, 1990, when surprisingly the Mongolian Peoples Revolutionary Party, the former communist party, was elected. The communist regime brought electricity, telephone lines, schools, hospitals, trucks and planes, sanitation, science, and many positive things to Mongolia, along with education in professions that would not have been accessible to Mongolians for perhaps several more decades. At the same time, the fierce independence and self determination of the Mongols was broken, an entire cultural heritage was stripped within the space of a generation, and the nomadic pattern of life within closely knit family clans following seasonal migration routes was destroyed. The collapse of the communist system brought two significant changes to Mongolia - the end of Russian subsidies and funding for development, and the transition to a market economy. Mongolia went into economic recession, followed by a collapse in the banking system in 1995. Mongolia is a landlocked country located in North-East Asia between Russia and China. The country has a total area of 1,565,600 square km. Mongolia shares a 4,673 km border with China on its eastern, western and southern sides and a 3,485 km border with Russia to the north. The population of Mongolia is only 2.7 million, giving it one of the lowest population densities of any country in the world. 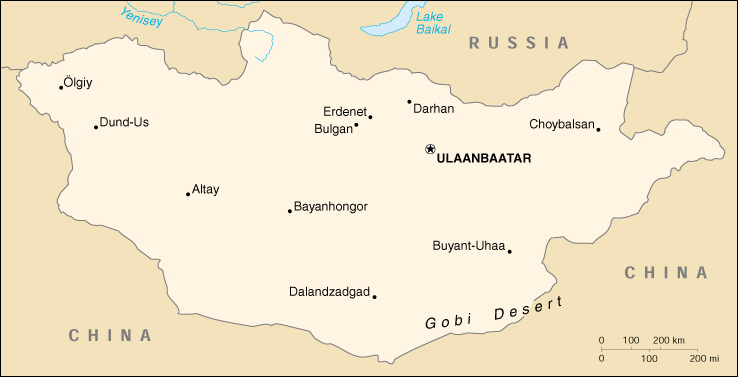 Approximately 1 million people live in Ulaanbaatar, the capital and largest city. Other major cities include Darkhan, an industrial center near the northern border and Erdenet, a copper mining center, also in the north. Around 40% of the populations live in countryside, primarily as nomadic livestock herders, while the rest live in the major cities or small towns spread throughout the country.